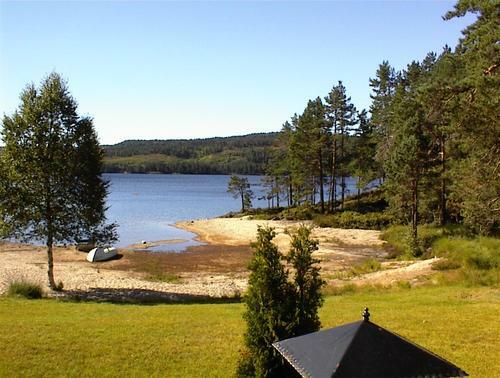 What better place to begin then the waterscapes of Byglandsfiord and a mountain lake nearby; this is a view from whichever cabin I’m in at Neset Camping or on a drive up the mountainside. These are photos from 2016, interspersed with today’s tale. The search begins here, with me, Marjorie Neset, and with dad and mom, Svein Neset and Ovidia Mathilda Floren…and quickly moves to the grandparents. Those four people: Torgus Neset, Asborg Eilifsdotter, Ole Floren, Magnhild Strom, beckon me down unknown paths, into remote villages, over fiords and mountains. Where the facts must prove factual with records and/or, better yet, DNA. Where the mysterious meanderings of ancestral genes will reveal themselves through the detritus of documents and memories. I have limited resources and time to get as seriously into this ancestry game as I would like. However, between all of the amateur family trees on line, DNA spit, and six weeks in Norway and Sweden, I hope to know the immediate grandpas and grandmas fairly well. I will outline, in this post and the next three, where I’ll be going and what I’ll be doing to get to know more of the stories of each grandparent. Through the new or supplemental information gathered from people, records, and especially places, I have this idea I’ll feel even more at home in the world. I’ll be placed/located/grounded? ASBORG IS HOLDING THE BABY. MY DAD SVEIN IS THE LITTLE BOY SQUINTING INTO A NORWEGIAN SUN JUST BEFORE THEY LEFT FOR AMERICA. GRANDMA AND GRANDPA NESET AS I REMEMBER THEM. Starting with my mysterious Grandma Neset. There are some small stories I’ve written about her that I will post over the next few days. I’ve not written about any of the other grandparents but because I lived next door to Asborg as a child—and didn’t like her very much, and because I’ve stayed often at Neset Camping where she raised my father for the first seven years of his life, I feel guiltily close to her. My brother’s friends, Dave and Ann in Minnesota, found the ship’s manifest from the journey to the U.S. of Grandma Neset and her brood of blonde babies. Her nearest relative in the ‘old country’ is listed as Gunnar Eilifson. Since then my Neset cousin, Arne, has helped me further identify her as Asborg Eilifsdatter although many possible details of birth and family are confusing. Since no one in my family knew Grandma’s maiden name before, this is a big step forward. Maybe the for-sure facts will come to light while I’m in Norway—stay tuned. For me, a lover of place and geography, almost the best thing is that I have territory to explore. 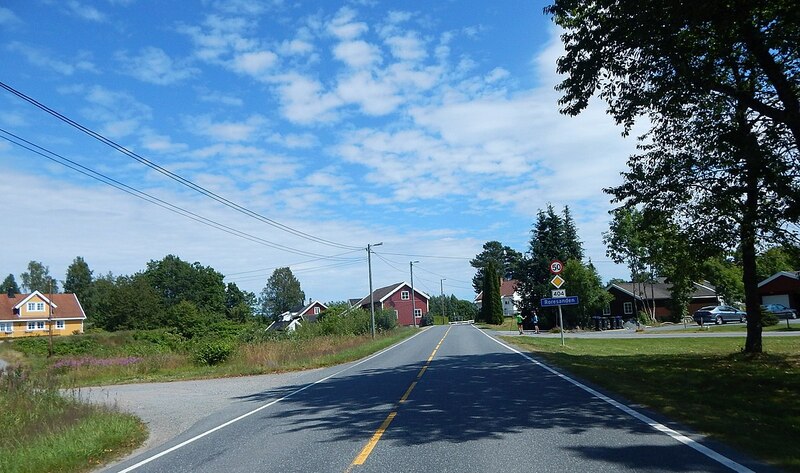 I’ll have a rental car and can head out from home base at Neset Camping and explore the nearby farms and villages. Asborg was born and/or lived in Vegusdal (a rural place north of Lillesand) or Evje or Lauvdal or Kristiansand or Roresand, Landvik or…. I’ve copied some maps and a couple of photos from tourism sites and the lake. Uncopyrighted. NESETS AND PERHAPS GRANDMA NESET FROM THE SETESDAL VALLEY. 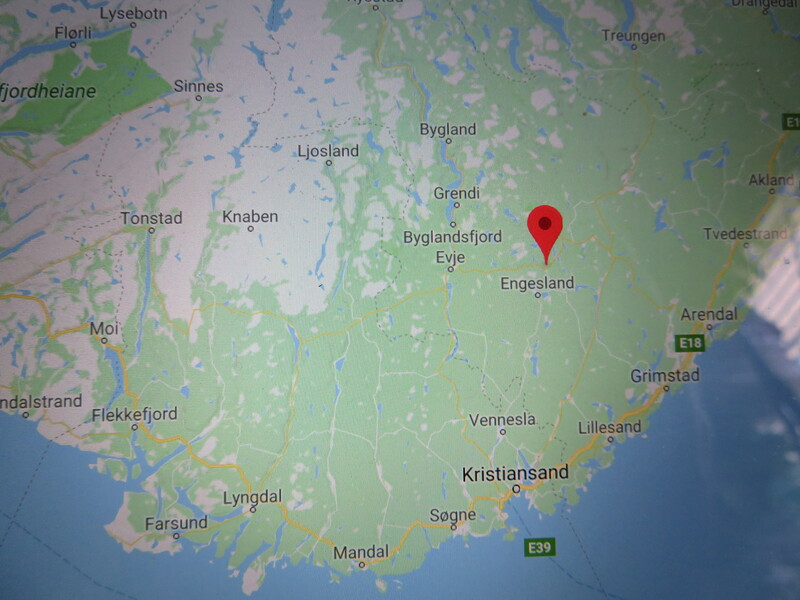 THE BALLOON IS ON RORESAND, WHICH IS WHERE GRANDMA NESET MIGHT HAVE COME FROM…? There will be Grandma Neset updates as we find out more. Back next week to almost the same territory with Grandpa Torgus Neset.